It has been documented that 1 out of every 5 American senior or elderly citizen suffers from visual impairments and that this population of the 60 and above age group are more likely to suffer from severe vision handicaps than the younger adult population. Aging is one of life’s inevitable natural phases which are more often associated with a significant increase in sickness and diseases as one’s body sometimes regresses at this stage. Ageing can bring about certain alterations in the clarity and health of one’s vision. As eyes are our “window to the world”, this vital organ is key as to how we function and enjoy in our environment. As such, when one reaches this particular era in their lives, utmost care and regular eye examination is a must. Vision problems of this generation can run from mild to severe. One of the most common visual impairments that are experienced by mostly everyone at varying degrees. It is caused by an alteration in the cornea’s particular curvature and can either be hereditary or acquired. Symptoms for astigmatism may differ from mild to severe head tensions or aches, eye strain and lack of focus or clarity in one’s vision. Depending on the severity, several options are available to remedy this condition but the most prescribed would be the toric lenses as they correct the curvature of your cornea to bring back your sense of sight. toric contacts deals are available in optical shops and through online retailers. This condition may be two pronged; one can experience watery eyes due to sensitivity to the elements such as light, wind or sudden changes in climate and temperature; or one may suffer from dry eyes characterized by the lack of moisture in the eyes resulting in irritation and impaired vision. Treatment can range from wearing eye glasses with enough UV protection, to medicated eye drops and at times, contact lenses provide the most viable solution. Simply put this is described as an incapability to focus clearly on close distances and is usually associated with old age. It can run from difficulty in reading to getting headaches or eye fatigue. 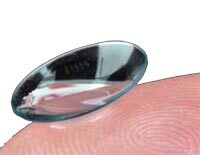 early presbyope contact lens are mostly recommended to correct this type of vision impairment as they allow your eyes to be able to focus and see clearly at close distances. They are named as such because they are mostly characterized by seeing floating specks hampering your clear vision. When frequency and degree of these floaters increase, it is better to seek the advice of your eye doctor as this could be a symptom of detachment in your retina which could lead to a far more serious visual impairment. Aging should not be feared rather should be something that you would look forward to. Like any part of your body, keep in mind that your eyes are also subjected to the daily wear and tear brought about by our particular lifestyle. Keeping your eyes healthy gives you much better chances of enjoying the twilight years of your life.